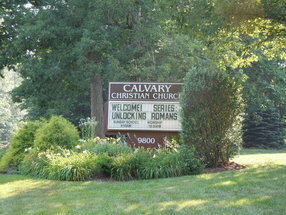 Calvary Christian Church is an independent, non-denominational church, located in Burke, VA. We are part of the fellowship of churches known as Christian Church or Churches of Christ, who accept Gods Word as its only basis of faith and practice. Our plea is for the church to be one as Jesus prayed in John 17. We do not claim to be the only Christians, but desire to be known as Christians only. We seek unity in matters of faith, liberty in matters of opinion, and love in all things. At Calvary we have a diverse body of people. Here you will find people of all ages, races and backgrounds. Some people come wearing suits, other in flip flops and shorts. No matter is you are an "empty-nester" couple or a single-young professional, or anywhere in between, you can find a place to belong in our community. At Calvary we welcome people from all different faith backgrounds. We are a safe place for you to learn, experience and ask questions. We want to be there for you on your spiritual journey. Steve graduated from Lake Superior State University with a B.A. in Recreation Management (he just missed out on the dance minor!) and is currently working towards his Masters in Theology. Steve met his wife, Tiffany, right out of college. Steve and Tiffany are the parents of three beautiful children, Conner (11), Steven (9) and Ayla (5). 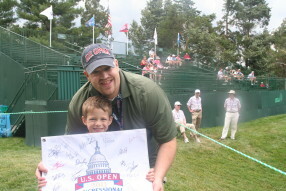 Steve enjoys coaching swimming, spending time on the golf course, and hanging with his family. Despite being a Cleveland sports fan, Steve is a pretty happy guy. Go here? Tell us why you love Calvary Christian Church. Visited? Tell us what a newcomer can expect. Enter your email address to receive an informative welcome email from Calvary Christian Church.